Asian Vibe: Why Hollywood Won't Cast Asian Actors to Star in Major Films? An editorial about the Asian experience in the U.S. and around the world. Why Hollywood Won't Cast Asian Actors to Star in Major Films? Hollywood won't be handing out starring roles in big budget films to Asian actors, whether male or female, because facts show that they are NOT capable of carrying a major film in America. Sad to say but those facts are true and no matter how many supporters of Asian actors complain about it, film studios won't change their minds until there is a sudden change among U.S. audiences over the next few years. 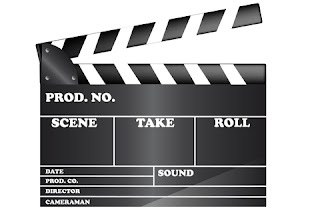 Can an Asian Actor Carry a Film? 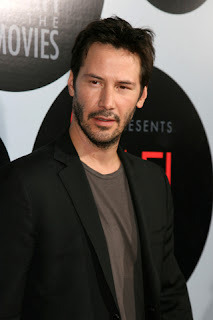 Hollywood executives have been saying for years that U.S. audiences are not ready for Asian actors (full-blooded Asians, not half-Asian or mixed like Keanu Reeves or Maggie Q) to star in a big budget film because of previous box-office failures like NINJA ASSASSINS (2009) starring Korean actor Rain and AROUND THE WORLD IN 80 DAYS (2004) starring Jackie Chan, and only in rare instances is success evident every so many years. Most of the box-office flops during the past 10 years (2003-2013) are films that star Caucasians and non-Asians. Almost none of these big budget flops were made with an Asian cast because of Hollywood's negative and steadfast belief that Asian lead actors are "box-office poison" and casting them in the starring role would be an absolute disaster. 21 AND OVER is a recent example of a film starring an Asian actor, Justin Chon. Chon starred in the film, along with Miles Teller and Skylar Astin, and it faltered at the box-office, earning a disappointing $25.1M during its entire run. The film ranks #17 among Box Office Mojo's list of "College Movies" behind #1 NATIONAL LAMPOON's ANIMAL HOUSE (1984) which earned $141.6M and THE SOCIAL NETWORK (2011) with $96.9M. Sixteen of the films before 21 AND OVER had an all-Caucasian cast. 21 AND OVER has been compared to last year's PROJECT X which had an all-white cast and earned a respectable $54.7M at the box-office. First-time Directors John Lucas and Scott Moore (writers of THE HANGOVER) took a chance on Chon to star in the film, knowing that his only previous acting experience was being part of the supporting cast in the Twilight Saga series. The raunchy comedy film surpassed its $13M budget, but overall 21 AND OVER was a disappointment at the box-office and continues the stigma that Asian actors cannot carry a film on their own. There is no question that Asian actors excel at the box-office in a martial arts-type film. The most successful Asian stars at the box-office stars are martial arts actors Jackie Chan and Jet Li. Jackie Chan has the highest-grossing film from his RUSH HOUR series with RUSH HOUR 2 (2001), being the top earner with $226.1M. His best performing film outside of RUSH HOUR was THE KARATE KID (2010) earning $176.5M. The late martial artists Bruce Lee (ENTER THE DRAGON, THE BIG BOSS, and RETURN OF THE DRAGON), who died in 1973, deserves mention here because of his iconic status and the fact that his films and numerous documentaries (like the 1993 bio-pic DRAGON: THE BRUCE LEE STORY grossing $35.1M) about him continue to bring in revenue. Asian actors have been both blessed and cursed by the martial arts genre. In order to be a success in U.S. cinema, most Asian stars tend to go the "martial arts" route. Unfortunately, not all actors are trained in the ancient art of self-defense, preferring to take roles in comedy or drama instead. Sadly, serious lead roles in big budget films are hard to come by for Asian actors in American cinema today . The cast from the critically-acclaimed film THE JOY LUCK CLUB (1993). Certain films, starring a largely Asian cast, have done well at the domestic box-office because these movies were targeted to the right audience. LIFE OF PI (2012) grossed $123.9M with a budget of $120M and won the Oscar's Best Director award for Ang Lee. The film was a favorite among the critics and the publicity from them and the Academy Awards certainly helped. The philosophical film did not become a big hit until it became a box-office phenomenon overseas. CROUCHING TIGER, HIDDEN DRAGON (2000) was an award-winning foreign-language film with an international cast that earned an impressive $128M in the U.S.. Of course, winning the Academy Award for Best Foreign-Language film and being a favorite among all the movie critics did bolster its performance at the box-office. MEMOIRS OF A GEISHA (2005) was based on the best-selling novel of the same name by Arthur Golden. Starring Ken Watanabe and Zhang Ziyi, the film earned an impressive $57.4M at the box-office. The HAROLD AND KUMAR series starring Asian actors Kal Penn and John Cho has proved to be a moderate success after releasing its sequels in 2008 and in 2011. HAROLD AND KUMAR ESCAPE FROM GUANTANAMO BAY (2008) earned $38.1M with a $12M budget while the recent A VERY HAROLD AND KUMAR 3D CHRISTMAS pulled in $35M on a $19M budget. Unfortunately, some critics believe the film's success is based on the Asian stereotype of being "buffoons and sexually sterile." 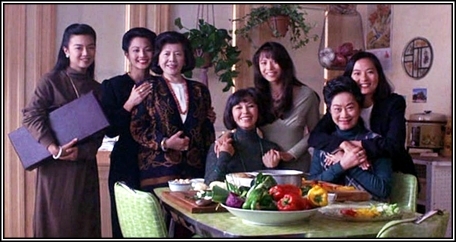 THE JOY LUCK CLUB with a cast led by Tamlyn Tomita and Ming-Na Wen, was released in 1993 but earned a whopping $32.9M. The movie was based on the popular novel of the same name by author Amy Tan. Indian-British actor Ben Kingsley starred in the epic film GHANDI (1982) which brought in a huge $52.7M at the box-office. The Oscars had a lot to do with bolstering the film's ticket sales as it won 8 awards, including Best Picture and Best Actor for Kingsley. These films are quality movies (Harold and Kumar may be an exception) that Hollywood can produce if done right. Unfortunately, the film industry continues to make the same "mistake" when employing a Caucasian or non-Asian actor to play a role meant for an Asian actor. Some of the recent casting errors made by Hollywood include casting actor Noah Ringer in THE LAST AIRBENDER (2010) or Justin Chatwin as "Goku" in DRAGONBALL REVOLUTION (2009) or Emile Hirsch in SPEED RACER (2008) or the film 21 (2008) that starred a mainly Caucasian cast based on a true story on the exploits of a group made up of mostly Asian-Americans. Market studies show that the Asian American audience is not a large enough group to make a big budget show or movie financially viable. There are not enough Asians on the production side to recognize the potential of Asian stars and how to promote them. The rest of America won't respond to Asian faces cast in big roles on the big screen. Wong makes a big point that Asians comprise "only 5% of the overall population in the U.S.." According to the Nielsen Wire, the Asian population is a "consumer force" with a spending power that increased from $718M collectively to $1 trillion in 5 years, but they are not large enough to attract fans for an Asian actor to star in a big-budget film. Has Hollywood brainwashed the public and Asian moviegoers in America that Caucasians and non-Asians are better suited for leading roles than Asian actors? It does seem that way because the television industry has placed Asian actors in roles that play to the same stereotype as being "emasculated and village idiots." With TV being a powerful medium, U.S. audiences are hypnotized into believing these Asian stereotypes. The "brainwashing" has systematically programmed the public and Asian-American moviegoers into believing that Asian actors are not "believable enough" to star in a big-budget role. Sadly, studies find that Asians are more inclined to click on a YouTube video starring an Asian (e.g. PSY or Ryan Higa) rather than go to a theater to watch an Asian actor on the big screen. Where do the Asian Actors Go from Here? There is no telling where the Asian actor can go from here, except to hope that there are more film studios and writers/directors like John Lucas and Scott Moore, who are willing to take chances with Asian actors. 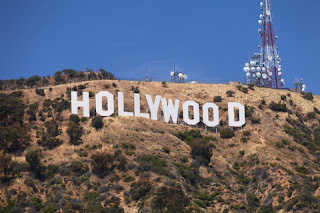 Movie Studios must look for high-quality, best-selling works from such prominent authors like Amy Tan, Lisa See, Haruki Marukumi, Khaled Hosseini, Kazuro Ishiguro, Salman Rushdie, and all writers from America and around the globe, who write about the Asian experience or just plain old good stories that could involve an Asian actor in a starring role. If a studio employs the same promotional tactics like they did for CROUCHING TIGER, HIDDEN DRAGON or MEMOIRS OF A GEISHA, a film with an Asian cast and good writing can flourish at the box-office. Top Asian filmmakers like Ang Lee and John Woo along with top Asian film executives and producers like Chris Lee and Dean Devlin must change the mindset of the film industry to offer more opportunities for Asian actors. Film studios have to learn how to promote and cultivate the up-and-coming Asian talent which will eventually land in big roles for future films. Overall, American cinema must rethink their stance on Asian actors and there is hope that great films like LIFE OF PI and GHANDI won't come once every 5 years but every year. Timur, thanks for your response. I didn't include China because the focus of the article was on Asian-American actors/actresses not being cast in major American films. I do agree that China is an emerging market and may be an outlet for many Asian-American actors/actresses to star in their major films. yes i got it, but i mean that asian market is a big slice for hollywood companies and asian market i think wants more asian actors in hollywood movies. Big hollywood studios maybe will realize that asian actors in significant suppoting roles in major films will bring more money in asian market than without them. I agree, Timur. Nowadays, Asian actors are stuck in supporting roles (which is NOT bad by the way) while the non-Asian actors take the lead role. The recent film "Iron Man 3" is a perfect example of Chinese studios wanting Chinese actors to take up some of the supporting roles in the film in order to boost popularity of the movie in the region. After all, the film was made in partnership with Chinese and American studios. Being a supporting actor is not a bad gig at all. However, there are starring roles that are available for talented Asian actors but Hollywood chooses NOT to use them in the lead role. Instead, the Hollywood studios either use a non-Asian actor in a role made for an Asian or they change the entire Asian concept of the film to a more "Americanized" version fit for a Caucasian/non-Asian actor. That's wrong and I feel that Hollywood has to change their mindset about having Asians in the lead role of a major American film. I like Jet Li and Jackie Chan, and I like the fact that they bring their martial talent s here to American, but these guys along with Donnie Yen and quite a few other actors have some serious range. I mean Donnie Yen and all those non martial arts films fantastic. Jackie Chan in 1911, and The Shinjuku Incident are only a few, big little general and the fact that he can sing. Carey Takagawa in Johnny Tsunami, and Ocean Heaven!! Tzi Ma in Dante's Peak. Come Hollywood it would have been okay for Jet Li to give Aliya a big kiss at the end of Romeo Must Die. As an Black guy I find it must ridiculous that Asian actors of such great quality are limited to just either being bad guys or the martial arts killing machine!! I didn't want to see Dolph Lundgren in Showdown in Little Tokyo....he sucked, but Brandon Lee RIP was cool. Guys like Phillip Rhee and James Lew are great actors as well and I think we need to start mainstreaming these guys... for example why can't Tzi Ma be an FBI director on one of these crime shows, or Jackie Chan (trust me knows how to play a serious role). I lived n Japan and Hong Kong for a couple of years and watch some amazing stars. Anita Mui RIP was one of my favorites, I mean she was a superstar...in my book an international superstar!!! Maybe my rant doesn't fit here, but American cinema is missing out on a lot of talent and I probably own quite a bit of it in my movie library!! Alex, please check out my newest article "Asian Actor (Andy Lau) Criticizes Hollywood for Being Racist." Thanks. Thanks for your reply and great insights, Alex. There is some serious talent from Asian actors and Asian-American actors out there but Hollywood doesn't want to cultivate it. It's a damn shame. It's great that you can see the talent internationally having lived in Asia. Unfortunately, Hollywood doesn't see it like you do, Alex. I have to admit, your article is very true but it's also very disappointing as well. I'm a full-blooded Asian living in a small Asian country, and I have dreams of making it big (or at least have a supporting role) in a Hollywood film. I was inspired by the recent success of Jennifer Lawrence who is only 22 currently, and has already won an Oscars and Golden Globe award. I've been wanting to migrate to the U.S one day to start a minor role in acting to make my way to the big screens but at the same time, I have also always been worried because I am Asian, and I noticed that Asians are not usually featured in the more successful films. Any advice on what I should do if I still want to pursue an acting career in Hollywood? dear sir/mam,,i want to act in hollywolld movie,,i know its so difficult to enter into hollywood industry,,i am from india,,shall i know the rules to get into hollywood industry,,please help me sir.its my humble request. Nihal, the best way to get into Hollywood is to network and get to know someone who is already in the business. Make friends and be nice cause you're going to get an opportunity sooner or later in the business. Take any job cause even the smallest opportunity can lead to a better opportunity. So take that job delivering furniture for a writer or serving food at a banquet for a producer or painting an actor's house. After you become friends, let them know you want to get into the business. There are some successful actors from India, who have made it in Hollywood. I wish you the best in your pursuits, Nihal. Wow! Thank you for writing this, Paul! Having recently graduated with a degree in theatre, your article has voiced many of the thoughts I've had in my head. Hopefully things start to change. Sadly the fact that Asian actors/actresses do not get lead roles is very true. I'm Chinese, but I was adopted at seven months so I'm definitely "Americanized". However, I find it unfortunate that Hollywood doesn't cast Asian actors in lead roles. I've seen many foreign films from Asia and frankly, a lot of them (not all) are better than the ones from the US, to name a few movies that are my favorites: Heavenly Forest (Japan), A Millionaire's First Love (Korea), Innocent Steps (Korea). I wish Hollywood would use some of these actors/actresses because so many of them are great at what they do. On your point of Hollywood casting non-Asian actors in roles meant for Asians I wholeheartedly have to agree that it is wrong. I don't even like to talk about Dragonball Revolution. I have watched Dragonball Z and I love it and that movie did not do it justice. Kudos to them for at least casting ChiChi with an Asian (Jamie Chung), but on casting a non-Asian as Goku? That just doesn't make sense, especially for the people who have watched it growing up and who know that Goku is Asian. Don't get me wrong, I'm not saying that Hollywood should only cast Asians, I just think they should give them more of a chance and make the right decisions when casting. If someone in Hollywood is going to make a movie based off of an anime show or an originally Asian (or any other foreign country) movie or even a character (from comics, books, etc), they should at least cast for the movie based off the ethnicity of the original charater. (I.E (not pertaining to Asians): Hollywood is in the makes of making a Wonder Woman movie (so the rumors say-it's in the near future but they haven't actually started it yet) but it seems that they are not looking into a Greek actress even though Wonder Woman is Grecian. Her whole story is centered around the Greek Gods.) Honestly if there is a TV show or a movie that has an Asian actor in it, I make a point of watching the show or going to the movie because I want to support my fellow Asians. Although I have no desire to be an actress in Hollywood, I think it's disappointing to know that for Asians it will probably be a harder uphill climb than for others. Thanks for your insights, Dawn. Yes, you are right. All Asian actors ask is to give them a CHANCE in a lead role. They don't want to be part of an ensemble or part of a duo alongside a non-Asian. Just one chance to star in an American major film. That's all. There are a lot of fine Asian actors and actresses and it is good to know that you support them by watching their films and television programs. It's hard to watch some actors who have taken "stereotypical roles" but can you blame them since only a few roles are available? Hollywood has to change and I'm hoping very soon. Undoubtedly Indian Bollywood has talents and good looking actors like Amir Khan, Akshay Kumar and Hrithik Roshan; these actors can be tried alongside of Holly Wood actors to boost Asian market and shun the blind belief that asian actors dont sell. Dev Patil. Indian Stage Actor. Wow.....really great informative blog post.I really like this great blog.Thanks for share with us. Great blog. I'm hopeful Hollywood will look past my eyes and see me - for me. I hope so too Carolann. It really annoys me how that Hollywood thinks that Asians can't make it into the industry. Im trying to become a successful actress and I'm full Asian, but after reading this (I know it's so a late) I really don't think I should pursue this any further...After all, I hardly see any Asians in the industry. This is disappointing, yet true. Also, in order for Asians to get into the industry, most of us would learn karate but I just want them to accept us without those martial arts skills and focus on the main thing, acting. This really affects my decision on becoming an actress. Do you guys thing I should pursue this acting any further or move on? Hi Tiffany. This article is in no way used as a way to stop future Asian actors and actresses like you from pursuing your dreams in Hollywood. In fact, my article should be used to fuel your desire to make it big in show business. I would definitely encourage you to pursue on becoming an actress because we need talented Asian actors to perform at the highest level and stop the rampant stereotyping prevalent in tinsel town. We need talented people like you to break the stranglehold that Hollywood has on Asian actors and actresses. I implore you to pursue your dream and make it big in Hollywood, defeating all those naysayers! I wish you all the luck in the world, Tiffany, and I'll be on the look out for your name! It's a pity, there are some very talented Asian actors/actresses. Yunjin Kim is one of my favorites, loved her in Lost. It's a pity Korean actresses don't get more Hollywood screen time - I feel they are just as talented as their US counterparts, and very beautiful! I did find some info on Japanese actresses who are doing well in Hollywood (Here: http://www.top10zen.com/famous-japanese-actresses-1652). This is such an interesting blog. You are very knowledgeable about this subject. Please check out my site. World famous celebrities information, news, Enjoy famous celebrities top and photo and video. Asian Actor Criticizes Hollywood for Being "Racist!" Lin Chi-Ling and Asia's Obsession with Plastic Surgery!